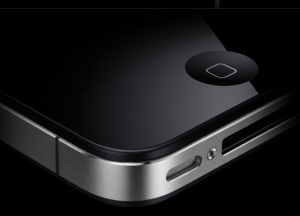 Managing iPhone 4 expectations: Did Apple do enough? ∞ Managing iPhone 4 expectations: Did Apple do enough? In response to complaints from users over the antenna issues with the iPhone 4, Apple offered all of its users a free case. But that’s not all, they also demonstrated that the iPhone 4 isn’t the only device that exhibits loss of signal strength. I look at yesterday’s press conference as a way for Apple to do several things: Respond to customers directly; give a peace offering to users that want a case; demonstrate that the iPhone design is not flawed; and educate people. One of the biggest things that Apple did on Friday was to manage the expectations of users and the media. Jobs said that Apple wasn’t perfect, which probably came as a shock to many people. Sometimes stories from the press raise our expectations to the point that, no matter what Apple announces, it will be a disappointment. That is not Apple’s fault. If you find the websites you read do this quite often, you need to find another place to get your news. Part of the problem is that we expect absolute perfection from Apple with every product they release. While that’s a noble goal for any company, it’s an unrealistic expectation from users. That only adds to the fallout when something does go wrong or, in this case, even the perception that something has gone wrong. Press from around the world have accused Apple of releasing a product with a design flaw. Clearly, Apple researched the antennas in its $100 million facility, so they did the background work. So the question is whether or not there is a problem with the iPhone 4. Here’s how I see the iPhone 4 in my daily life. I expect to be able to make a call whenever I want. I also expect to be able to receive a call. To me, that is a working phone without any flaws. I can do both of those things. Now, can I cause my iPhone 4 to lose bars if I put it in the “death grip?” Yes, I can. Is that important? It’s an interesting experiment, but the only way that is important is if I drop calls because of it. Since the iOS 4.0.1 update, I can’t even make the iPhone 4 lose the signal completely. Clearly, something was done to improve the bars, reception or something else on the iPhone. I’m not an antenna expert, but I know what I see on my phone. Even before the update, I could not make the iPhone 4 drop a call by holding it in the death grip and believe me, I tried. And let’s face it, the death grip is a very unnatural way to hold a phone — like I said, it makes for an interesting experiment, but not much else. Do you lose calls because of it? Do you usually hold your phone like that? I have done experiments with friends by making a phone call and then holding the phone in the death grip. They tell me that the voice quality of the phone doesn’t degrade either. I’ll admit that I expected more when the press conference started yesterday, but with the demonstrations that other smartphones experience signal degradation, Apple has proven that the problem isn’t isolated to the iPhone 4. It’s unreasonable for users to demand a recall for a problem that is clearly industry wide.